My Perfect Prep in prime position in my kitchen! There is nothing more upsetting than listening to your baby scream for food while you desperately try to cool down a volcanic bottle of milk under the cold tap. Now multiply that by 2 and that was how I envisioned our first few weeks with the twins would go. We had heard about this miracle product with our last baby but at the time it was brand new and very expensive. It also seemed like an unnecessary luxury when a flask of cooled boiled water had always sufficed. With twins plus other small, attention seeking children in the house, anything that can save time while leaving you a spare hand is invaluable. The Perfect Prep creates the ready to drink bottle of milk in under 2 minutes. Firstly, it gives you a shot of boiling water to sterilise the milk powder. 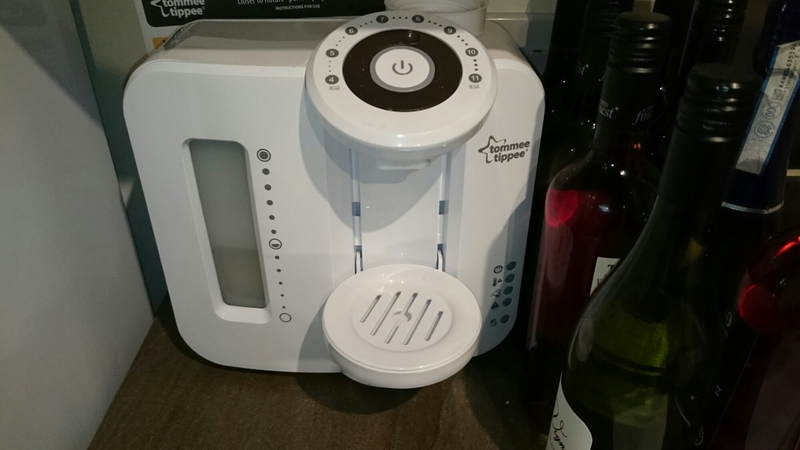 Once you’ve added your powder, the machine tops up the bottle to your desired number of ounces with cold filtered water. You add the lid, give it a shake and voila, one perfect temperature bottle. The Perfect Prep requires a filter which needs changing occasionally. The machine gives you a red light warning when the filter is running out, then a flashing red light when the filter is completely out so you don’t need to change it immediately the light comes on. 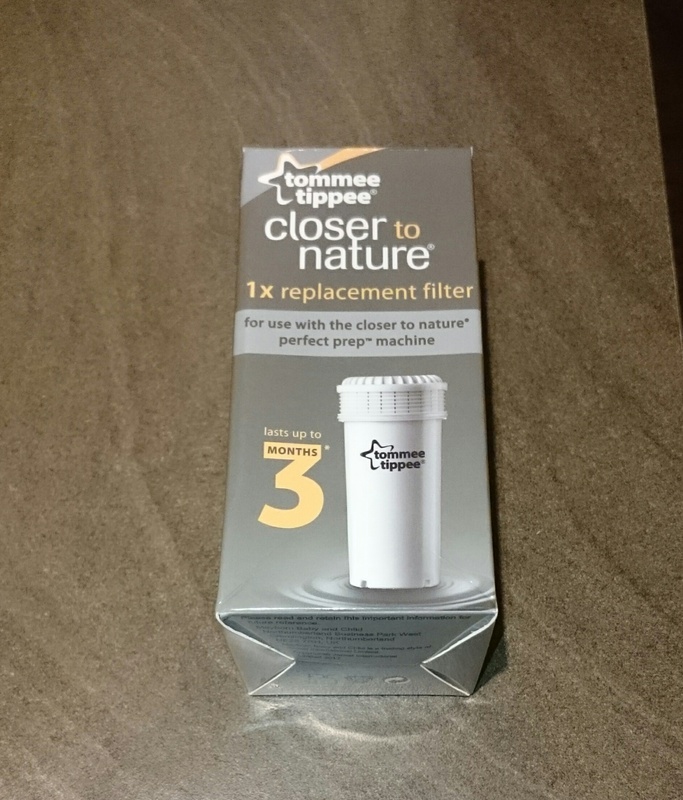 Filters cost around £8 and can be purchased from most baby retailers. The packaging states it lasts up to 3 months. We are on filter 3 now after six months of use which I don’t think is too bad given the amount of bottles we make. The only downside to this machine is the ear splitting beep the machine gives out several times during its cycle. I can understand the need to warn people that boiling water has been produced but, this product goes into houses with small children where, waking a sleeping baby is a deadly sin! Tone it down just a little bit please Tommee Tippee! This is definitely the best baby purchase we have ever made and I wouldn’t hesitate to recommend it to other expectant parents for a single or multiple babies.